After originally limiting sales to developers only, Microsoft has now opened up the market to all consumers within the US. While Microsoft has begun shipping the product to US buyers, there is still no clear knowledge of the Microsoft HoloLens Europe release date. Despite the huge demand from this product outside of the US, Microsoft continues to delay the release of this product to its EU consumers. International tech enthusiasts have been left in the dark about the Microsoft HoloLens Europe release date and are frustrated that they are unable to experience the Microsoft HoloLens in the first wave of development, where the real value of cutting edge technology should be. Delayed product release has not only been disappointing for people wanting to be apart of the initial release hype but it has also prevented tech developers from being able to create VR applications and ideas for this product. Big Apple Buddy believes that everyone should have the opportunity to buy directly from the US, regardless of where you are in the world. With our unique personalized shopping service, we can make your access to visual reality, reality! We can help you buy the Microsoft HoloLens from the U.S today and deliver it to you anywhere in the world. Microsoft HoloLens is the first fully self-contained, holographic computer, enabling you to interact with high-definition holograms in your world. Microsoft’s augmented reality (AR) viewer has been described as the future of computing. Holograms let you visualize and work with your digital content in relation to the real world. Mixed reality blends 3D holographic content into your physical world, giving your holograms real-world content and scale. The virtual reality headset immerses you in a stimulated world, overlaying augmented reality, digital information and your real world. Gaze, gestures and voice commands allow you to interact with content and information. The headset is composed of a pair of concentric circles that unfold two rings: a thicker, plastic outer one and cushioned inner one. The inner circle goes around your head, with an adjustment wheel to fit a wide range of adult head sizes. Containing more computing power than the average laptop, Microsoft HoloLens is passively cooled without fans. With no wires, external cameras, or phone or PC connection required. What software comes with the Microsoft HoloLens? 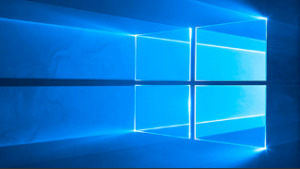 The Microsoft HoloLens Development Kit comes preinstalled with Windows 10. The familiar apps and features you use with your other Windows devices are fully integrated with Microsoft HoloLens. There are already hundreds of Universal Windows apps for download from Windows Store today that run on the HoloLens. Cortana is your personal assistant to help you search the web, complete system tasks and more. Who is buying the Microsoft HoloLens? 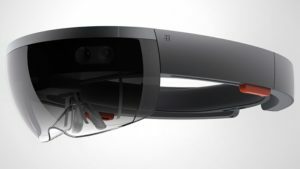 Developers, digital marketing firms, and tech enthusiasts have been some of the first to purchase the Microsoft HoloLens. While it was originally positioned for developers only, sales are effectively open to anyone willing to spend $3000 on the device. 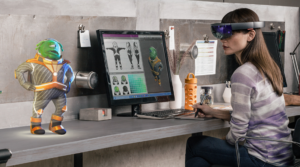 Businesses are trying to get their hands on the HoloLens to transform the way they connect, create and explore with clients and colleagues. The Hololens can change the way companies collaborate and communicate. Ideas, designs and prototypes can be understood from every vantage point. Big Apple Buddy has helped thousands of clients across the world purchase the Microsoft HoloLens direct from the US. You too, can get yours today. Buy the Microsoft HoloLens Today! Why wait around for the Microsoft HoloLens Europe release date when you can purchase it from Big Apple Buddy today? Let us help you keep up with cutting edge technology and experience the new way to see the world. We can help you buy the Microsoft HoloLens Development Edition direct from the official Microsoft store in the USA and ship it to you anywhere in the world. Learn more about our service or get a free shipping quote for the Microsoft HoloLens today!